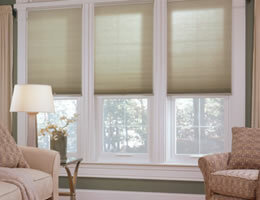 For all your window covering needs in Chicago, Blinds Chalet has got you covered! We have over 25 years experience in the window covering industry. Let us cover your windows today for an affordable price with one of our top quality window blinds online. 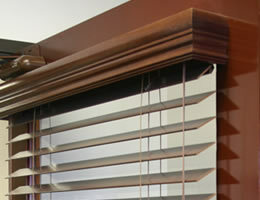 We sell more 2 inch Embassy Wood Blinds and 2 inch Express Faux Wood Blinds in Chicago than anybody else! So when we say we know what works in your area of the United States we are backing that up with years of experience and customer feedback! Guaranteed quality is very important to us. We have hand selected only the best quality and workmanship window blinds and shades. Prompt service is our privilege and your right as our customer. 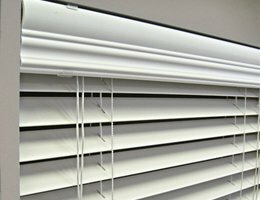 We would like to invite you try our window blinds online today! For a limited time Blinds Chalet is offering 55% Off ALL our window coverings and FREE shipping on all window coverings to Chicago, . Take advantage of this offer today! Click to view all of our current promotions. At Blinds Chalet we custom make each window blind to the specifications of our customers. This process takes time but the result is the highest quality window coverings. 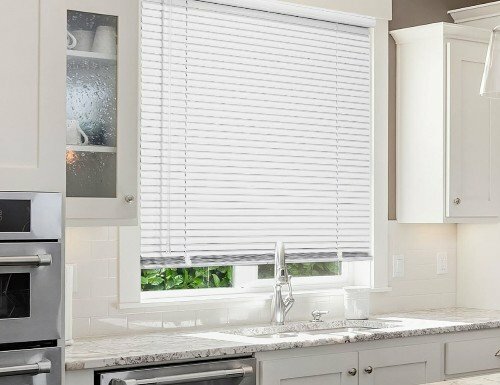 If you are in need to window blinds fast, we have an "Express Production" line of window coverings. Each of our express production window blinds are made within two business days. Click to view our complete line of express production products.